An adventurous 5 day gorilla tour. The package includes tracking gorillas both in Rwanda and Uganda, tracking golden monkeys, a visit to Karisoke research center where Dian Fossey performed her research on Gorillas and the tour will end with a Kigali city tour. 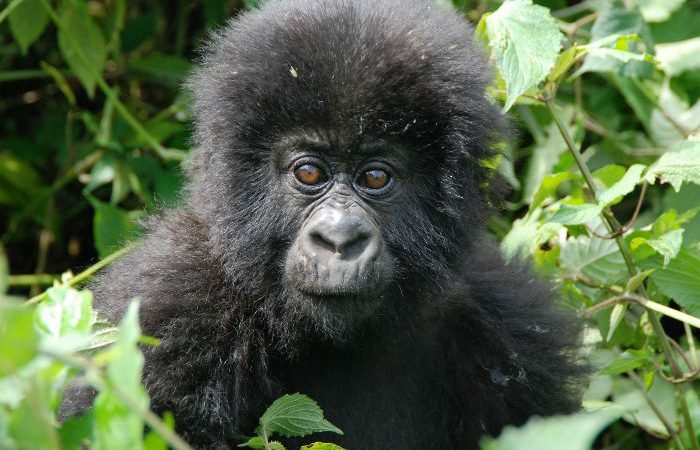 The gorilla tracking tour involves two national parks, Rwanda’s Volcanoes and Uganda’s Bwindi Impenetrable Forest giving you the best of the gorillas. Upon arrival, you will be picked up from the airport by an Explore Rwanda guide who will drive you to the the park. You will then after check-in to the hotel/lodge for dinner and overnight stay. By 7:30 am, you will be taken to the park headquarters for briefing fully loaded with the tracking gear, drinking water and packed lunch. You will then begin your gorilla trail, tracking the gorilla family which you have been allocated to tack. It takes between 1 to 5 hours before you meet the gentle giants depending on their movements. Upon meeting the gorillas, you will have a photo taking opportunity up close with the gentle giants before return to the lodge for relaxation and lunch. The evening will be spent on a nature walk and or visiting the Iby’Iwacu Cultural Village for a feel of Rwanda’s cultural heritage. In the morning, you will gather at the park headquarters for briefing. You may either go for golden monkey tracking or hike up to Karisoke Research Center, established by Dian Fossey, an American primatologist who dedicated all her life conserving the lives of mountain gorillas until she was killed and is buried there next to Digit, a mountain gorilla. You will learn more about the lives of the mountain gorillas at the research center. On return, you will cross over to Uganda and drive to Bwindi Impenetrable National Park, home to half of the world’s remaining mountain gorillas. After breakfast and briefing by park ranger guides, depart with picnic lunch boxes to start a 30 minutes – 8 hours trek to find the Mountain gorillas as you hike up and down slippery slopes with dense mist covered vegetation. This strenuous quest will eventually bring you to the face of one of the most sought after creatures-the mountain gorilla. After a full hour with them while observing and learning their behavior as you take photos, return to the Camp for dinner and overnight. Early in the morning you will have your breakfast after which you will move to Kigali for an intriguing tour of Kigali the continent fastest growing and cleanest city, you will also be taken to visit the genocide memorial sites (optional). Your will there after be taken to the Airport by your driver / guide.